Land8 Social Media Awards in Landscape Architecture 2018 – Winners! Last month, we announced the launch of the inaugural Land8 Social Media Awards in Landscape Architecture. Social media has the power to significantly increase the awareness and importance of the profession of landscape architecture, and we believe industry leaders in social media should be promoted and recognized. We received so many worthy submissions that we decided to extend the awards per category from eight to ten! Rather than a checklist or points, we took a holistic approach to determining the winners to offer a variety of successful social media accounts – be sure to follow the winners to help grow the profession! Arterial, LLC | Arterial does a fantastic job of using graphic design, engaging techniques, and educational tidbits to promote landscape architecture and planning. 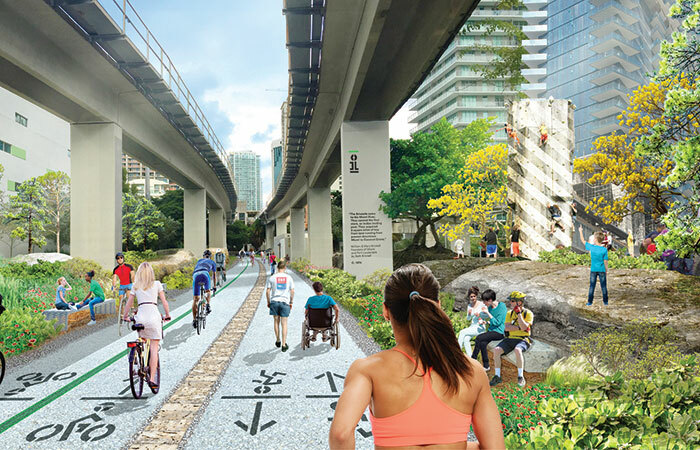 They address the experience of communities in different spaces and how it can be enhanced through human-oriented landscape architecture and street design. Though their following is still growing, their content is top-notch, showing the value and art of landscape architecture for people inside and outside of the industry. 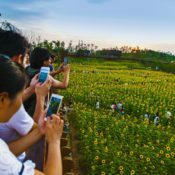 EDSA | EDSA utilizes social media to educate its audience on the many facets and benefits of landscape architecture as well as create awareness for the industry. As part of its social media strategy, they focus on diving deep into one topic each month. For example, EDSA covered technology in design, coastal resiliency, urban design trends, hospitality/tourism trends and water in design. They also launched a video series on social media called “Inside the Design Studio”. The interview-style videos showcase EDSA principals discussing the impact of design and the importance of landscape architects in projects. NAK Design Strategies | NAK uses their social media platforms to share their work, share fantastic global design inspiration, explain what landscape architects really do, and to show people more about what a landscape architecture office is all about. The balance between places and the people behind the design of those places makes for a great account to follow for designers and non-designers alike. Cadence | Cadence has utilized various social media platforms to focus on connecting social and physical landscapes. The channels help influence their local community, promote the profession of landscape architecture, and build connections with an international audience of students, designers, and nature enthusiasts. 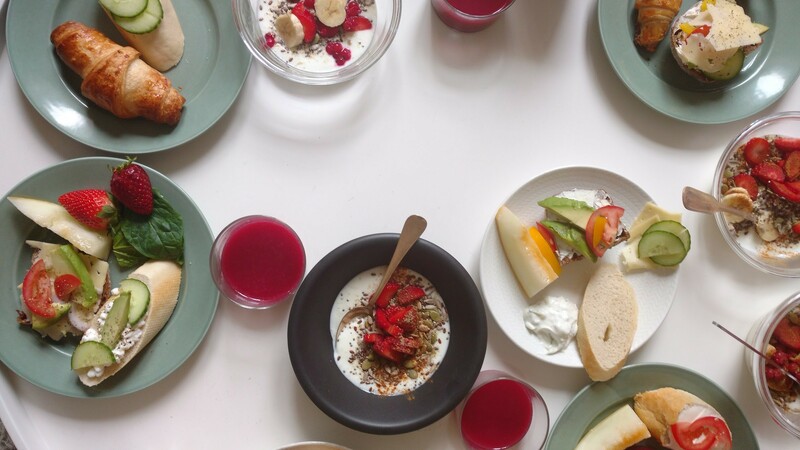 Their feed is populated with an insider’s look at day-to-day operations, environmental awareness, and hyper-local community engagement to yield true “in-person” relationships. Stack Rock Group | Stack Rock Group demonstrates the creative ways their team uses landscape architecture and planning to solve problems for clients. A self-described “quirky and creative” firm, their posts fit the bill and engage the audience in a very fun and relaxed manner. In addition to the fun, their high quality images and informative descriptions of their projects promote the value of landscape architecture. 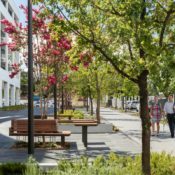 Arterra Landscape Architects | Arterra’s account features a full range of images and content of a design studio’s office culture, projects, and the materials that fascinate them. The Instagram account represents not only a company, but also “the visual musings, daily adventures, and site visits of Kate Stickley,” offering a glimpse into the perspective of a leader of a landscape architecture firm. Seferian Design Group | Seferian Design Group utilizes social media to illustrate their people, projects, and process as they relate to landscape architecture. From conceptual design to construction, they believe all aspects of the design process are important to promote and educate followers. It’s clear that the firm values teamwork and gives insight into working in a collaborative architecture firm that is people-oriented. Agency Landscape + Planning | Agency uses its social media channels for unique purposes. Facebook provides real-time project updates and events. Twitter advocates for ideas that are core to its mission (diversity, resilience, inclusion, and engagement). LinkedIn connects them with clients and collaborators. Instagram shares experiences that “make them feel”. It is the social media embodiment of the firm culture: diverse, fun, feminist, artful, engaging, and expressive of gratitude for the people they work with. hutterreimann Landschaftsarchitektur | hutterreimann uses their Instagram account to present competition results and built projects. Even if you don’t speak German, the stunning images and designs are beautiful in any language (there’s always the translate button too!). 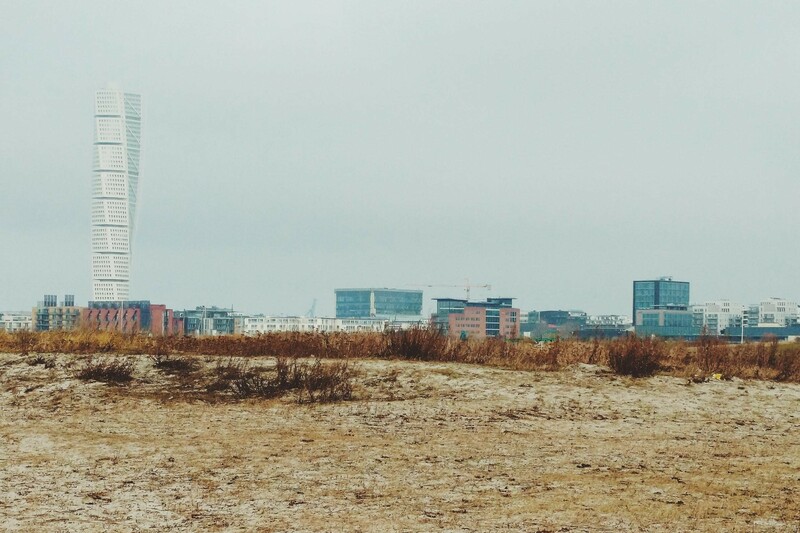 This account offers a European perspective on modern landscape architecture. 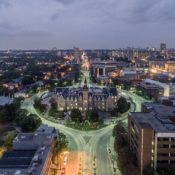 Kale Hicks | Kale created the @LandscapeArch.Rendering Instagram account to be a community for landscape architects, firms, and students alike. It’s a chance to celebrate each other’s work at any level and provides tons of inspiration and the chance to learn from others in the process. It also provides the opportunity to see how landscape architects in other countries are practicing, demonstrating how global the profession is and how much more global it’s becoming. The account has a large following, bringing landscape architects on Instagram together while promoting the profession to others. Gina Ford | If you’re looking for the hot button topics and projects that landscape architects are talking about, you will want to follow Gina. She leverages her leadership to advocate for equal rights, access, and opportunity for underrepresented voices in landscape architecture. She uses social media to spread the best design evidence that landscape architecture is “the best profession on earth”, call out press when they fail to recognize the landscape architect’s contribution, celebrate the amazing work of others (particularly women and people of color), share her own thoughts and writing about the values the profession provides, connect landscape thinkers to ideas and each other, show the world that our profession is fun, funny, and engaging as well as being profoundly important and meaningful. Zeke Cooper | With a focus on gardens, plants, and details, Zeke created an Instagram account to give viewers a glimpse into his life as a landscape architect. He shares the things he likes, his current and past work, and insight into his design process. The account is educational with a personal touch, giving his audience a great place to find inspiration, which is proven by his large following. James Richards | The primary focus of James’ social media presence is to promote and celebrate freehand design drawing and on-location sketching as foundational skills for designers, as vital ways to see and value the world’s lands and cultures, and to envision a better world. They offer windows into the leadership role of a landscape architect in teaching and promoting these skills across disciplines and in countries around the globe. They foster remarkable conversations about places and placemaking, design, and creativity, giving a landscape architectural point of view a broad, diverse and growing audience. Ula Maria | Ula uses social media to engage not only with fellow professionals, but also the general public, especially to promote the profession to younger audiences who might be making their career choices or are simply curious about landscape architecture. She keeps the content relevant, fresh, and cool so that landscape and garden design becomes one of the leading professions in the design industries. Faezeh Ashtiani | With thousands of followers on Instagram, mostly in the USA and Iran, her dual language posts help extend her reach and educate them on a variety of topics, including landscape architecture. She has held live stories about landscape architecture programs and the path to becoming a landscape architect. She frequently posts stories of office culture, projects, products, and more. She shows the full scale and variety of what landscape architects do to those who are not the most familiar with the profession. She enjoys talking about the design aspects of the physical environment from her daily commute in Chicago to her international trips, showing the importance of the built environment and how it affects the health, safety, and welfare of us all. It’s a thoughtful and interesting account to follow to learn about the perspective and experience of an Iranian-born landscape architect practicing in Chicago. Jennifer Nitzky | Via Instagram, Jennifer focuses on inspirational landscapes wherever she goes and the details that make the designs great. She does a series of #plantnerd posts highlighting various plants, sharing characteristics of the species. Her Twitter handle is used to raise awareness of landscape architecture by sharing the latest news, announcing calls to action for issues relating to our profession, and engaging others to learn more by providing helpful links. For World Landscape Architecture Month, she visited and highlighted 30 different New York City landscapes. Emily Sutherland | Curated from the perspective of a recent graduate landscape architect wandering the globe in search of inspiration, the account utilizes the accessibility of social media to promote Landscape Architecture through the medium of travel. By documenting a diverse range (scale/prominence/location) of projects visited the aspiration is to inspire and educate fellow professionals, as well as non-designers, on the breadth of places which are facilitated by Landscape Architecture. Checkout this Land8 article about her profile from earlier this year. Maren McBride | Maren uses social media with beautifully taken photos to document her day to day life as a landscape architect in the Pacific Northwest, including life at her firm Mithun and the places, spaces, and people (and food) that inspire her. She’s actively engaged in the Seattle design community and hopes to inspire other landscape architects to get involved in awesome organizations like ASLA, ULI, ACE Mentor Program and Techbridge Girls. Sally O’Halloran | Sally, a landscape architecture teacher at University of Sheffield, uses social media to promote the profession to prospective students through #chooselandscape, to encourage the students she teaches to use it specifically to promote planting design through #shefplanting, to highlight the work of the landscape architecture department and colleagues, and to highlight good examples of planting design in landscape architecture case studies. This is a fun and informative account to see landscape architecture through the lens of an academic. 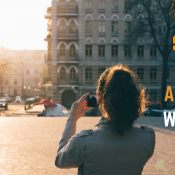 American Society of Landscape Architects (ASLA) | Keeping with its mission, ASLA’s social media channels advance landscape architecture through advocacy, communication, education, and fellowship. This is the place to find award winning projects (mostly in the USA) and to see what recent efforts the organization is doing to advance the profession, reaching and inspiring many outside of the USA as well with its large following and reach. The Cultural Landscape Foundation (TCLF) | In addition to announcing new initiatives, furthering the reach and exposure of media coverage, and empowering advocates to take action – all while actively promoting the work of landscape architects and allied professionals – TCLF leverages its myriad social media platforms to drive traffic to its expansive website and advance its strategic communications/messaging. Also, Birnbaum Blogs now debut on Dezeen, a global and influential design forum, to further elevate the profession’s visibility. Landscape Architecture Foundation (LAF) | LAF uses social media to recognize student scholarships winners, fellows, researchers, and exemplary design and business practices in landscape architecture. They share stories to lead the profession forward on issues of equity and inclusion and on designing for climate change. In doing so, they inspire action from landscape architects, from making sure to vote to encouraging lifelong learning to building a culture of philanthropy within the profession. LAF has their finger on the pulse of “next practices” in landscape architecture. 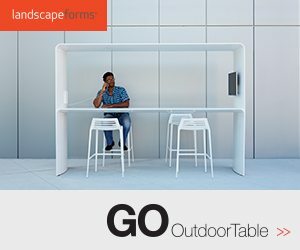 Landscape Forms | A leading manufacturer of site furniture and lighting, Landscape Forms sets the bar high for manufacturers utilizing social media with high quality photography that not only features their products, but also the beautifully designed landscape where it is situated. Their posts engage the audience and the landscape architects they work with, along with their clients. 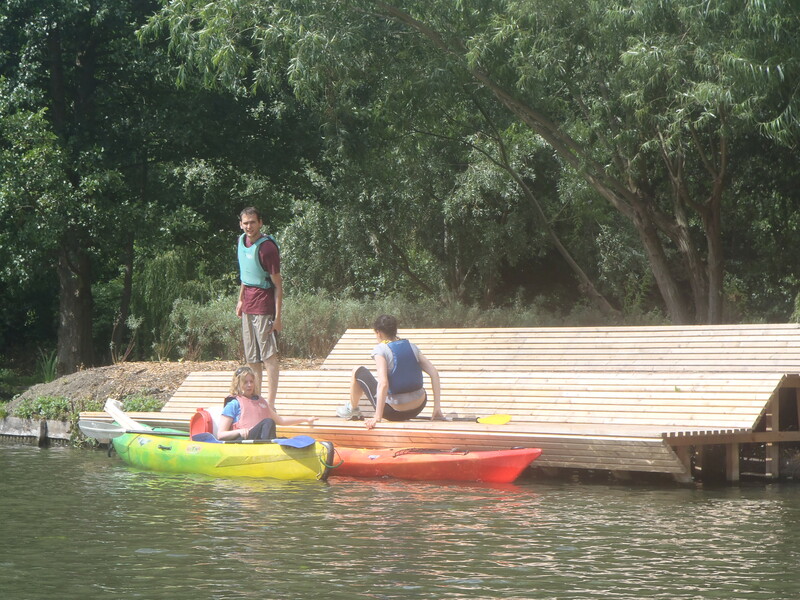 Each post is set to activate the potential of outdoor space and enrich the experiences of the people who use them. A recent initiative includes featuring student profiles to help them share their passion and grow their industry network. Linescapes | Linescapes support landscape architects and others by helping them use drawing to understand their environment better as well as communicate their ideas more easily to the public. They publish their knowledge and drawing advice online for free and use social media to reach a larger audience. It’s their firm belief that if they can help practicing professionals carry out their work better, they contribute to the advancement of the profession. Their YouTube videos are super helpful, high quality, and fun to watch. XL Lab at SWA Group | XL Lab, SWA’s firm wide home for research and innovation, provides insights into future conditions in the built environment, analysis of constructed spaces, new tools and technologies through experimentation, and topical studies. Beyond providing key updates and sharing work, they use social media to reveal their research process, showcase external stories and tools they find inspirational, and start a conversation about the challenges of tackling practice-based research in the AEC industry. Their process of documenting their work offers a fascinating and open behind-the-scenes look into their work. Vectorworks | Through their channels, Vectorworks (software company for designers) shares user-generated content from both professional and student designers in the industry, promoting their projects, accomplishments, and successful workflows to various design professionals. They often feature industry news, trends, and articles too. They share free landscape-oriented webinars on a monthly basis, as well as promote industry trade shows and events. It’s clear they are supporters and promoters of everything landscape architecture. Green Roofs for Healthy Cities (GRHC) | GRHC social media channels increase the awareness of the economic, social, and environmental benefits of green roofs, green walls, and other forms of living architecture through education, advocacy, professional development and celebrations of excellence. 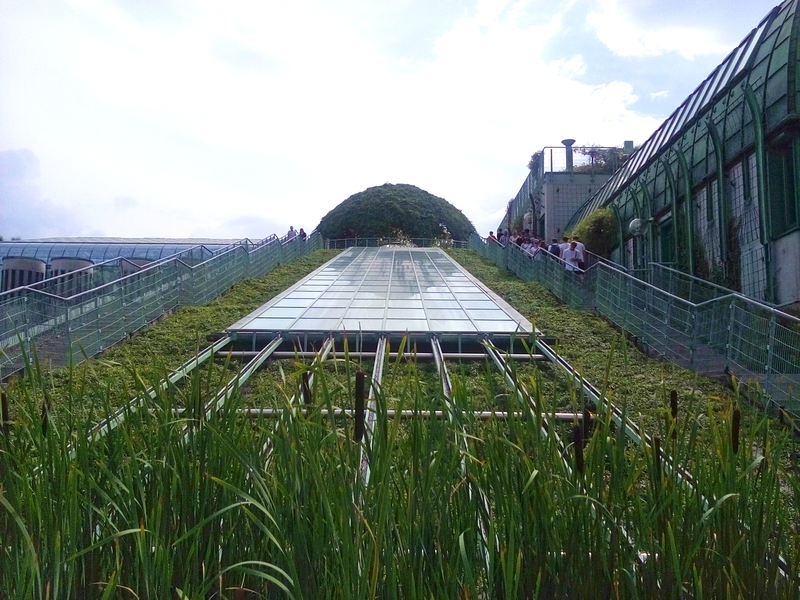 They value their partnerships with landscape architects and provide inspiration and resources that designers should take advantage of for their green roof and related projects. LOFscapes | LOFscapes (“LOF”, borrowed from Mapuches Chilean aborigines meaning “community”, and “scapes”, English for “configurations”) is a space for critical discussion about the transformation of the Chilean landscape, particularly in the last two decades. The audience is able to take a unique and authentic look at landscape architecture in Chile. Kansas State University Student Chapter of the ASLA / Michigan State University Student Chapter of the ASLA | We ruled this one a tie as both represent great examples of how student ASLA chapters can engage their student members as well as a wider audience to those outside of their program and soon-to-be profession. Want to be a part of this list? Please check back for the call for self-nominations for 2019! Land8 Social Media Awards for Landscape Architecture 2018 – Call for Nominations! Land8: Landscape Architects Network announces the inaugural Land8 Social Media Awards for Landscape Architecture. Land8 was founded as an online hub for landscape architecture professionals to interact with each other. It has since grown to an international community of not only landscape architects, but also those interested in learning about the field of landscape architecture with over 1.5 million followers across Land8’s social media channels. Social media has the power to significantly increase the awareness and importance of the profession of landscape architecture, and we believe industry leaders in social media should be promoted and recognized. Awardees will be featured on a list of “Land8’s Best Social Media Accounts in Landscape Architecture 2018” promoted through our extensive network, and our followers will be encouraged to follow the awarded accounts. Land8 will judge social media accounts on the following: Visual Excellence, Influence, Engagement, and Promotion of Landscape Architecture. This may include popular mediums, such as Facebook, Instagram, Twitter, and/or blogs. Only public accounts will be considered. Self nominations are due December 21, 2018 with announcement of winners by December 31, 2018. Nominations may be from anywhere around the globe. Please submit your nominations in English. If language is a barrier to apply or account is in another language, please contact us. If you’ve ever attended the ASLA Meeting + EXPO over the last decade, there’s a good chance you attended or at least heard about the famous Land8 Happy Hour that bills itself as “The Largest Party for Landscape Architects in the World.” It’s only natural that the largest gathering of landscape architects (ASLA Meeting + EXPO) also includes the largest social event too with over 700 attendees expected at the Happy Hour. The 11th Annual Land8 Happy Hour returns to the city of its very first Happy Hour on October 21 at 8pm and includes an open bar, limited edition t-shirt, photo booth, networking, raffles, pub games, and dancing! Register here. So why is it called a “Happy Hour” if it’s a late night event? 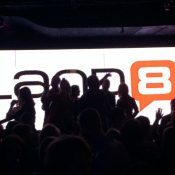 Land8 Managing Partner, Matt Alcide, states that it’s a nod to Land8’s humble beginnings. 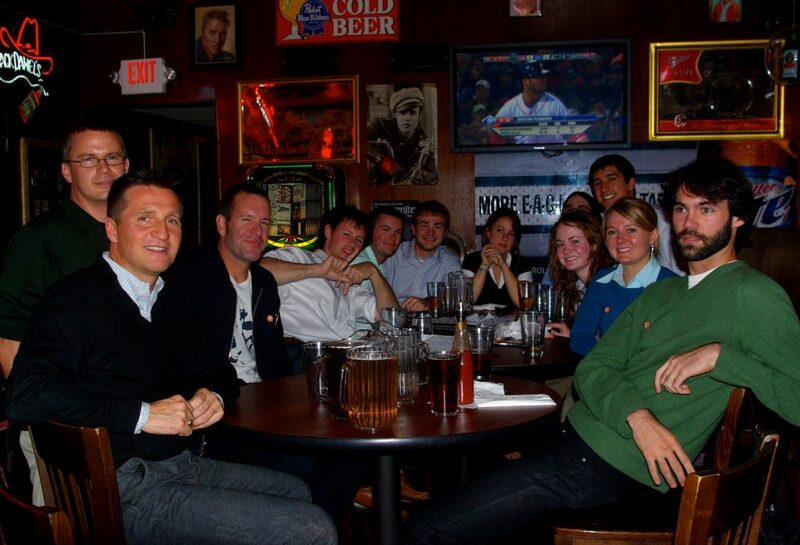 At the inaugural Land8 Happy Hour in Philadelphia in 2008, it truly was a traditional happy hour with about a dozen attendees and a few pitchers of beer. While the size of the gathering has changed, the purpose has not, which is to bring landscape architects together in a relaxed informal setting to kick back after long days of meetings and educational sessions. If you’re in town Sunday evening 10/21 in Philly, be sure to get your tickets ahead of time at land8.com! The Land8 Happy Hour is made possible by the event sponsors Anova Furnishings, Vectorworks, and Permaloc. This article originally appeared in ASLA’s LAND. PaveShare.org, a free ICPI resource, links to self-guided presentations with interactive animations and a studio project library on segmental concrete pavement design and construction. Educators can supplement existing curriculum with resources from PaveShare.org and encourage students to add to a living library by uploading their completed projects to the site. Students and educators can also explore pattern design and structural principles or utilize a curriculum path. Students and educators can participate in the PaveShare.org curriculum by visiting www.land8.com/paveshare and clicking on the “Resources” link above the masthead. 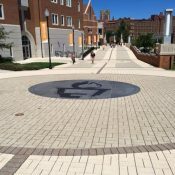 LEAD IMAGE: The University of Tennessee at Knoxville incorporated permeable interlocking concrete pavement into a campus center upgrade. PaveShare.org is flexible, living landscape architecture curriculum delivers latest concrete paver design and technical information. View Case Study. 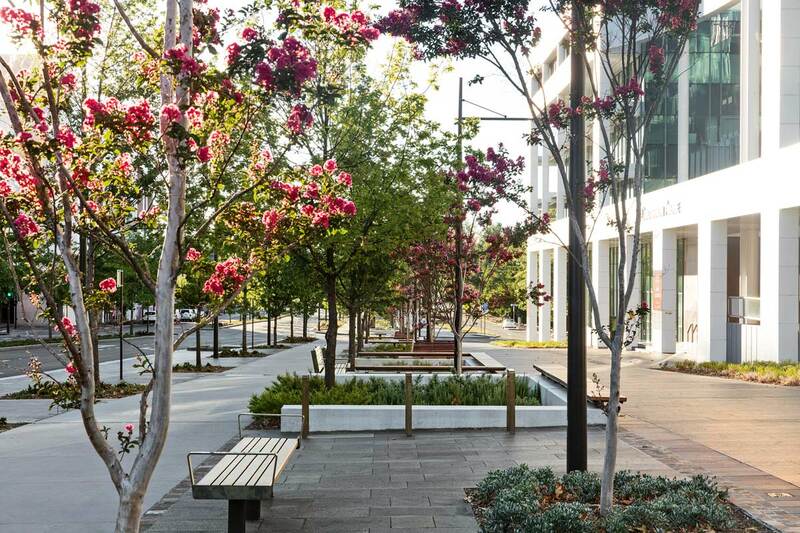 Article by Maria Giovanna Drago Constitution Avenue by Jane Irwin Landscape Architecture along with Hill Thalis Architecture + Urban Projects, and MEC in Canberra, Australia. Constitution Avenue is a key street in Canberra, Australia. 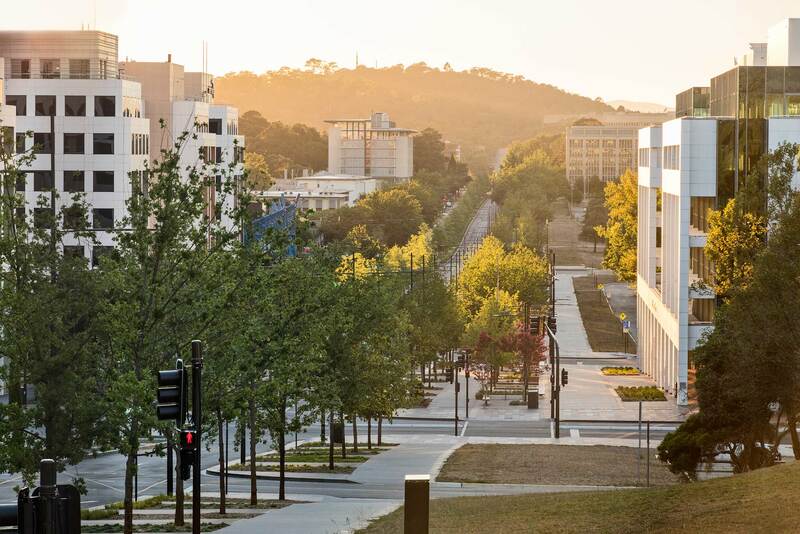 In fact, along with Commonwealth and Kings Avenues, it forms the city’s basic geometric design guidelines that developed Canberra in the 1900s. Situated in a lively area, it’s adjacent to residential and commercial buildings, but also recreational and cultural activities. In 2016, Jane Irwin Landscape Architecture completed the renewal project after four years of construction. The renovation brought modernity to this roadside axis, rewriting its role in the city. We can say that Constitution Avenue was influenced by great western avenues like the Champs-Élysées in Paris or La Rambla in Barcelona. 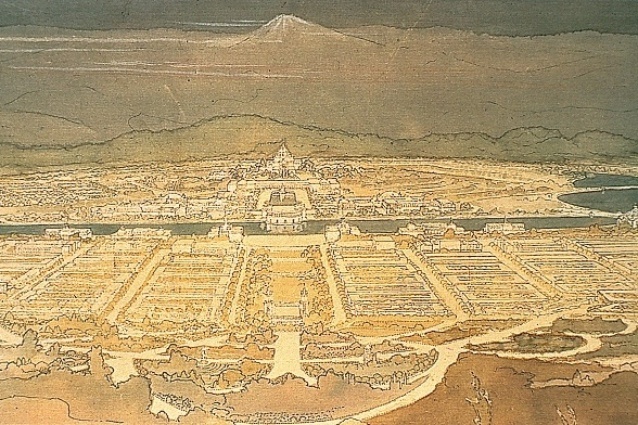 The City Design Walter B. Griffin was an American architect and landscape architect who won the international competition for the design of the new capital city in 1912. He and his wife, Marion, developed a plan and ran an architecture firm together. “I have planned it not in a way that I expected any government authorities in the world would accept. I have planned an ideal city – a city that meets my ideal of the city of the future,” said Griffin. Three avenues form the perimeter of the National Triangle, which is the heart of the city with public and administrative buildings as well as a tourist center. It hosts the Parliament House, the Australian Department of Defense, and the City Hill Park respectively in each of its extremities. The city neatly established around two orthogonal axes that imaginatively cross the center of the National Triangle, which is managed by the National Capital Authority. The Australian Landscape The Griffin’s first heard about the competition while on their honeymoon and pursued it once they returned home. Marion M. Griffin was responsible for the beautiful renderings that impressed the jury, while Walter was responsible for the design. Their project beat out 137 entries and brought them instant notoriety and public recognition. During Walter’s first trip to Australia he was so fascinated by the natural landscape that he gave plant names to avenues, parks, and neighborhoods such as Clienthus Circle, Blandfordia, and Telopea Park. Ultimately, his design stemmed from his fascination and the concept was characterized by an open atmosphere. Long avenues were flanked with large deciduous trees and the buildings were set in lush, grassy meadows composed of narrow paths amidst rolling hills to represent the countryside. The Avenue Constitution Avenue extends almost 3 kilometers (1.9 miles) from the northwest to southeast and it’s nearly parallel to the Burley Griffin Lake coastline. 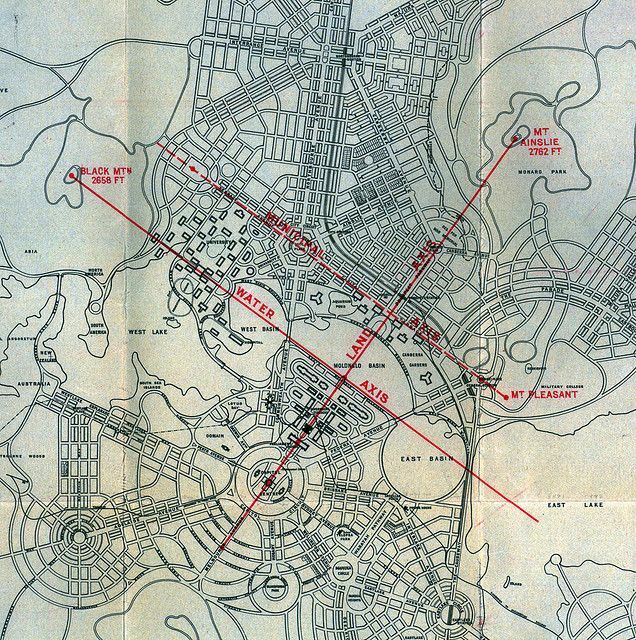 The City Hill and The Department of Defense are located at its edges and intersect with the Anzac Parade artery in its center. 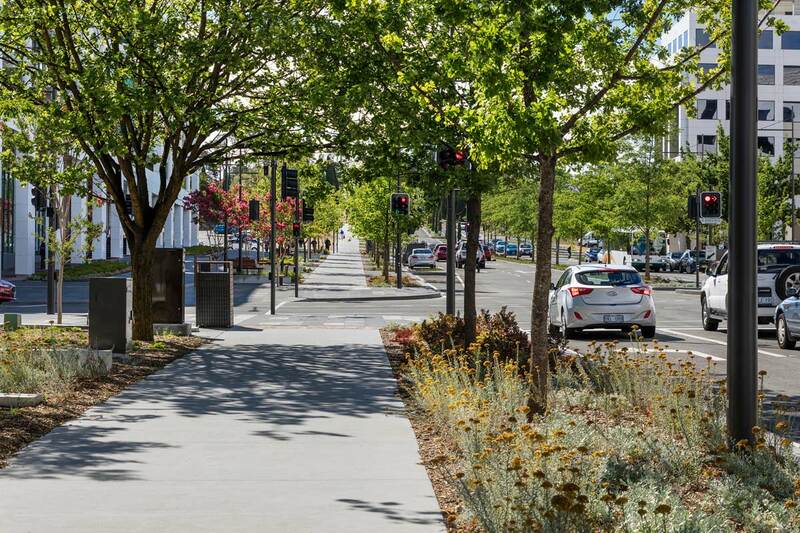 Previously a two-lane, two-way road with parking on the west side, its new design focuses on users, devoting space to pedestrians, and improving the mobility of public and private vehicles. Today there are multi-direction, double-lane roadways separated by a one-meter wide traffic island, which is tree-lined and planted with small shrubs. Due to better organization and planning, the sidewalks are now wider and the previous paths have been eliminated. They were so badly designed that pedestrians were forced to walk in “zig-zags” or into narrow corridors. Now there’s a linear and continuous pedestrian pathway, which is protected by a greenbelt. The sidewalk on the west side is comprised of several rows of trees, a pedestrian walkway, and resting places equipped with seating. Additionally, motorists can park in parallel parking spaces, which are located at intervals along the road, that also feature dedicated areas for bus stops. 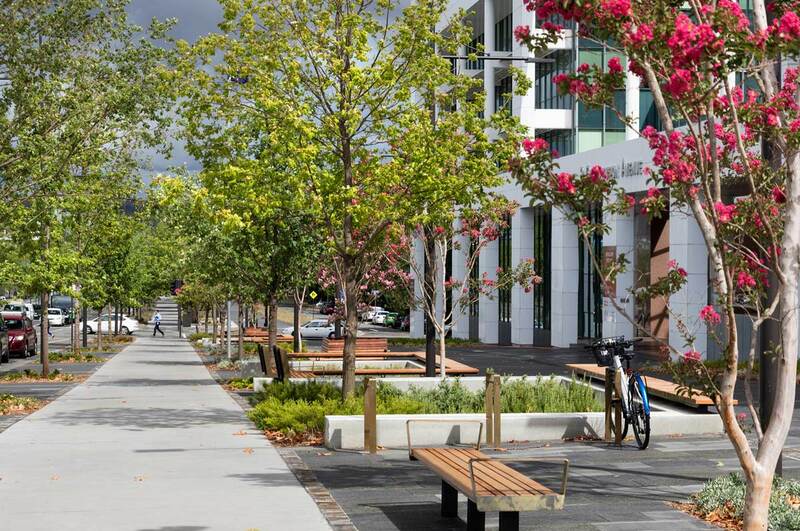 The Furniture Street Furniture Australia manufactured the street furniture, while Hill Thalis Architecture + Urban Projects designed it. 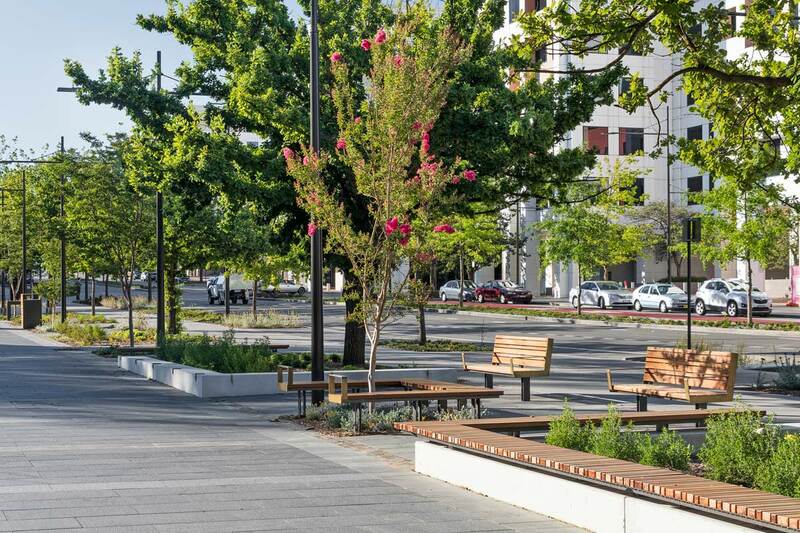 Throughout the urban boulevard, various wooden furniture styles dot the site including linear benches with and without backrests, C-shaped seats, and squared tables. Perhaps the most impressive detail are the brass armrests. The Flora Over the years, half of the existing oak trees have been removed because of their poor condition and replaced with English and pin oaks, Italian cypresses, and crepe myrtles. Trees are arranged in ordered rows and organized by variety. The only evergreen is the Italian cypress, while the crepe myrtle is the lone blooming tree with pink flowers from July to September. Article by Maria Giovanna Drago We have selected five of the most interesting drainage solutions to show you how their impact could be implemented in the landscape. Are you planning on designing a park or renovating your home garden? While you may already have knowledge of vegetation, outdoor furniture, paving, and lighting—a troubling issue that many are faced with is an excess of water. If it rains too much a garden or park could quickly become a swamp. Once the soil becomes saturated insects start to proliferate in the water, some of which are bearers of diseases. Additionally, overflow water can make moving through a space difficult as well as damage buildings or other structures. Avoid a Bad Design Do not rely on mediocre designed systems. A poor design decreases property value up to 15 percent, without mentioning the aesthetics and usability. It’s always wise to consult an expert and shy away from do-it-yourself methods. In fact, it’s necessary to simulate the annual rainfall and snowfall of the referenced territory, considering the risk of storms, in coordination with an analysis of the soil absorption capacity. For example, soil that is predominantly made of clay does not allow water to drain as it should, so it can be mixed with sand or compost. It’s also important to consider the layers of a filtering substrate. Ultimately, you could determine the flow to be drained, the sizing and route of the drainage system, and the correct position of the tanks and inspection wells. Look for Alternatives You need the right guide to make sure a site is not only visually appealing, but also environmentally friendly and attentive to the waste of water and energy. As an additional suggestion, water can be collected in a tank and reused for irrigation purposes or for washing furnishings. This way what was first seen as a problem becomes a valuable resource. There are different types of drainage systems and we’re convinced that being a landscape architect does not mean installing pipes, but finding the proper solution that leads to a successful result. 1. Phytoremediation Herbal purification is an example that incorporates efficiency and practicality with a system of streams and small lakes. In this case, water is revealed and not hidden, since it’s used as a characteristic feature in the landscape. It’s conveyed from the various areas in an ornamental drainage stream for recreation or irrigation. The water flows slowly between plants, which act as a biological filter and together with the combined action of the gravel material, they purify it by simulating a natural process. For example, floating plants are ideal to assimilate heavy metals. Once cleansed, it can be reused to water cultivated areas or for toilet discharge. 2. 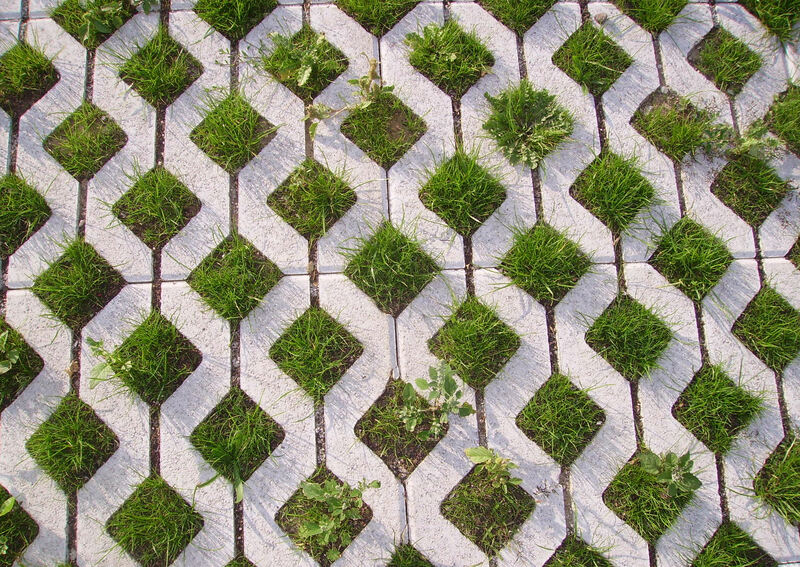 A Decentralized, Integrated Green-Paving System The use of grid pavement or spaced dry laying is an interesting technique suitable for both pedestrian and vehicular paved areas. This method follows the natural cycle of rainwater based on diffusion. As a result, the manholes spaced out on waterproof surfaces disappear or diminish. A good landscape architect knows how to integrate greenery with flooring modules in a harmonious way so as not to reveal the drainage purpose, but focus on an attractive aesthetic. 3. A Draining, Concrete Paving You can opt for pervious concrete, which is commonly used in continuous surfaces such as parking areas. This also facilitates the widespread absorption of water and it’s characterized by a mixture of Portland cement, coarse aggregates, water, and additives. The very low or total absence of fine parts comprises its porous structure, which allows an easy flow of water and air. Unlike non-draining floors that absorb daytime heat, this drainage system contributes to a more favorable natural microclimate. 4. Decorative and Minimal Grids If you prefer tradition or you really need to use the common grid, don’t forget there are grids available with geometric or floral patterns, usually made of cast iron, stainless steel, or polypropylene. Or you can specify a minimal style with a narrow linear grid for a more pleasing appearance. This approach is ideal if you want to give continuity to the surface, allowing a minimal visual impact. The channels will collect water and it will be directed to siphoned wells and collection tanks. What Lessons Can We Draw from One Spadina Crescent? Article by Moreira Filho One Spadina Crescent by NADAAA with the leadership of Nader Tehrani and Katie Faulkner along with Adamson Associates, Public Work, and ERA Architects in Toronto, Ontario, Canada. Located on Spadina Avenue and the north side of College Street in Toronto, this building was constructed in a roundabout that interrupts and divides the avenue. It’s impossible to pass through without seeing it, as it’s a monumental sculpture that seems to grow into the skies as you approach. Built in 1875 to house Knox College – incorporated by the University of Toronto (U of T) 12 years later – it used to harbor a theological seminary, military hospital, various departments of U of T, and a penicillin factory. Rendering this building, and giving it back to Torontonians and worldwide citizens, while linking the past to a present utilization was a big challenge for the design team. The firm chosen to develop this design was NADAAA, through the leadership of Nader Tehrani and Katie Faulkner in partnership with architect of record Adamson Associates, landscape architects Public Work, and heritage architects ERA Architects. Let’s look at some lessons we can take from them. It’s a Building for the Faculty of Architecture, Landscape Architecture, and Design The new use for the building is to house the John H. Daniels Faculty of Architecture, Landscape Architecture, and Design. One of the big steps was the addition of an attached structure surrounded by a useful square. The new building, coupled with the historical building acts as a bridge to the adjacent neighborhoods. While all of the sides received distinct entryways, this is the first time the building has a northerly face which opens it to the city and community, giving it a new identity. The new building’s architectural design has a gothic feel to it and it also provides more natural lighting, thermo-acoustic control, and structural optimization through three cantilever trusses. Additionally, the trusses support the windows and 61 percent of the building is served by daylight. An architecture and design gallery is positioned along the northeastern edge of the site to accommodate the visual studies program and present professionally curated exhibits in design fields related to architecture, landscape architecture, urban, and visual design. The gallery also serves as a platform to advocate for the design professions and it includes a space for debate, developing ideas, and collaborating. It’s an Island of Landscape Architecture in the Middle of Downtown On the south side a raised, but separate platform was constructed to honor the original purpose of the site. 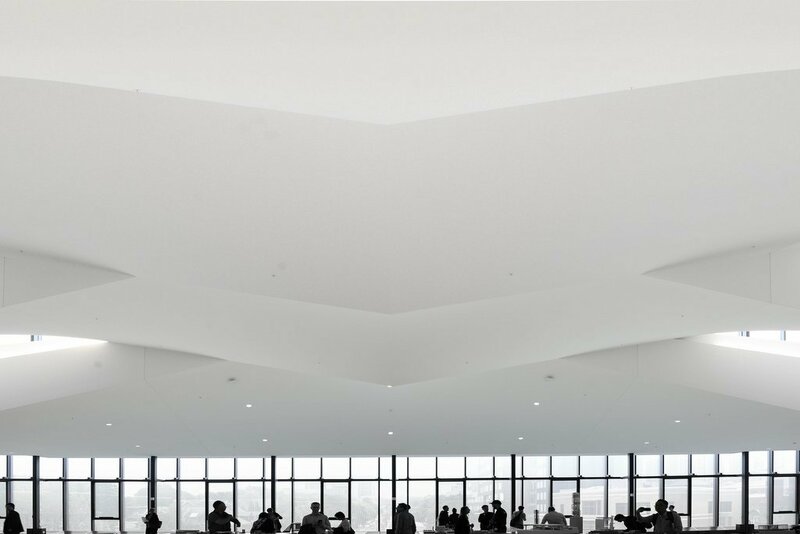 Known as Belvedere, this gathering and event space maintains the view to the avenue and Ontario Lake, inviting people to enjoy the building. 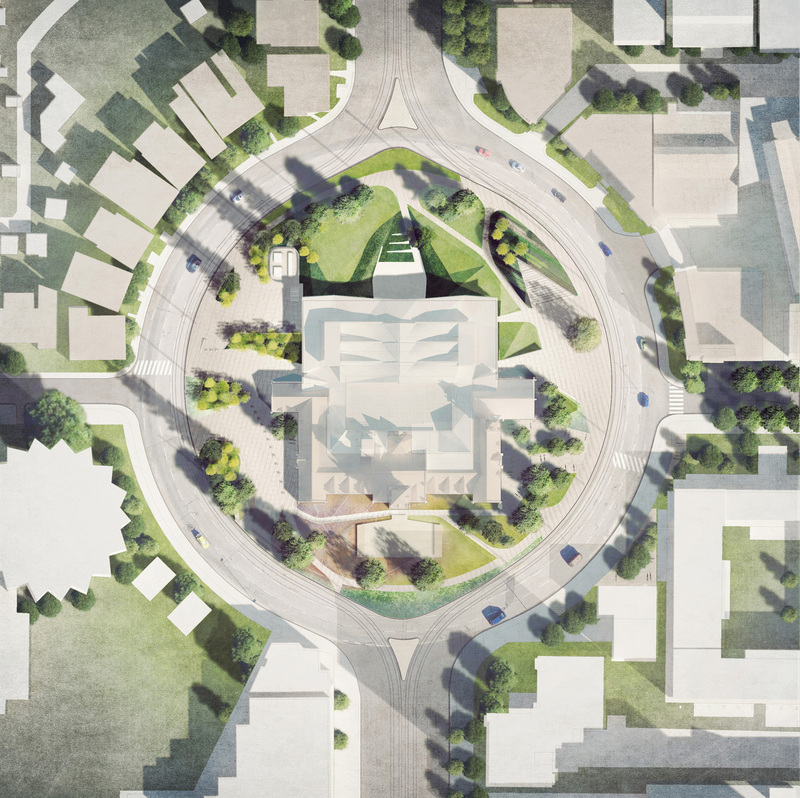 It also integrates the historical building and Spadina trams, opening the circulation up for pedestrians and serving as an entrance to large events in the Principal Hall. 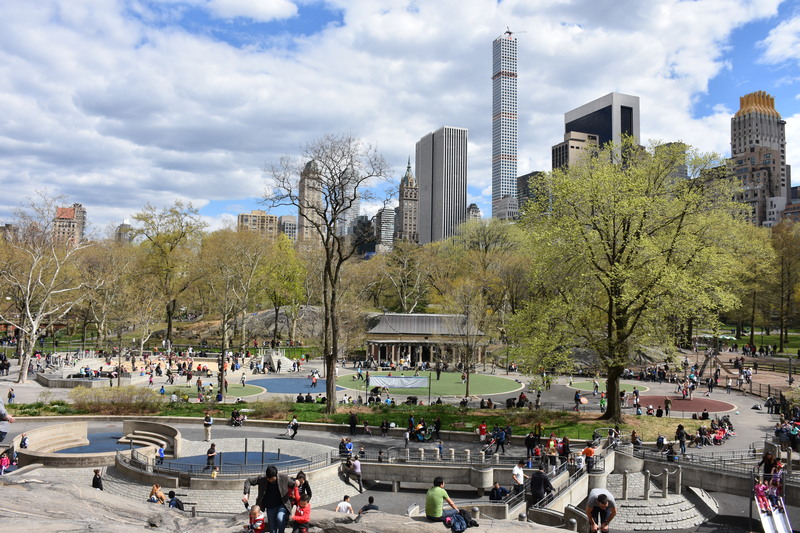 Article by Maria Giovanna Drago We examine how urban parks in the United States have evolved over the last 160 years through a comparison of New York City’s Central Park and Chicago’s Millennium Park. Society has continually changed throughout history, often in reaction to events and novelties. Important time periods, such as industrial revolutions and wars have influenced the way of life and because of these events some people favored living in fast-paced cities while others in the countryside. These progressions can be seen in the layout of cities, particularly the urban parks. Parks allow us to better understand the struggle between nature and the built environment. Even though it seems that more attention is usually given to the expansion of cities, over the centuries urban green infrastructure has not remained static. 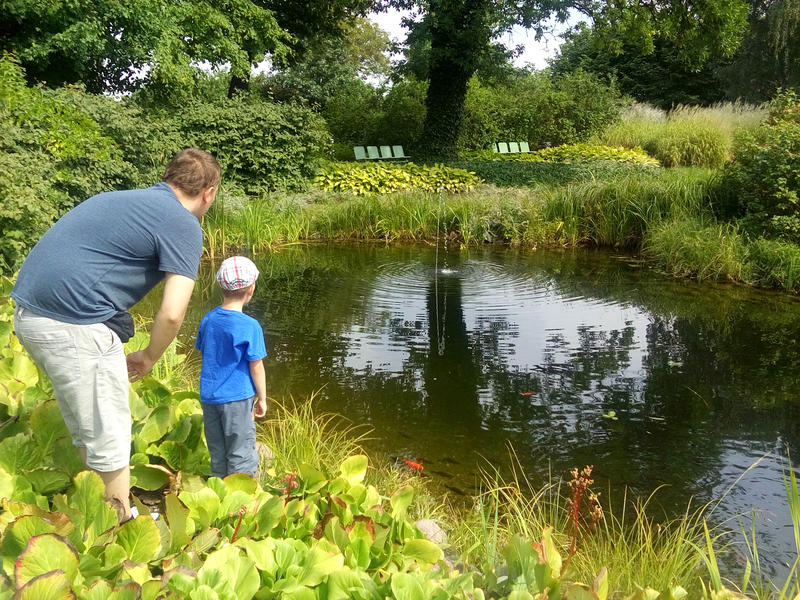 Urban parks have roots as far back as the ancient Persians who used to hunt and breed fish in their private parks, while Greeks famously walked in public gardens and taught philosophy. Parks from past centuries still exist in many western cities, new parks didn’t substitute old parks, and both are successful in unique ways. 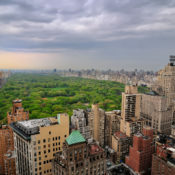 Dating back to the 19th century, Central Park in New York City is one of the most famous and visited parks in the world. Furthermore, some modern parks are more harmonious with today’s society and show just how much life has changed. This is especially evident when looking at Millennium Park in Chicago, as a comparison to Central Park, which is 147 years older. Dimensions The size of an area demonstrates whether it’s accessible on foot and influences the type of usability. A space can be more usable if it can be walked and visited within an acceptable time, as a result it may include functions not adopted by bigger parks. Millennium Park and Central Park are two examples of large parks as they have an area of 24.5 acres (99,000 square meters) and 843 acres (3.41 square kilometers) respectively. 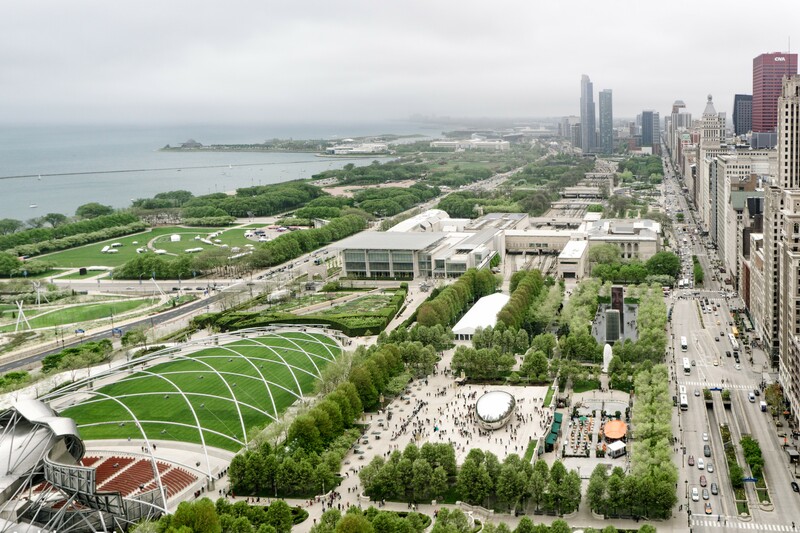 Millennium Park can be walked diagonally from one extremity to the other in about 8 minutes, so citizens and tourists can explore it in less than a couple of hours, which reflects its modern style. Central Park is much larger and it isn’t possible to visit the entire park in a single day on foot. Additionally, it has a more naturalistic landscape and it’s evident as it was planned for a specific use and following a different philosophy. Reasons and Roots Central Park borrows inspiration from the great European parks such as Hyde Park in London and Bois de Boulogne in Paris, where the nobles and the sovereigns used to hunt, attend elite events, and enjoy carriage rides. This park is like a portion of nature embedded into the city with freely arranged trees, shrubs, and wide meadows. 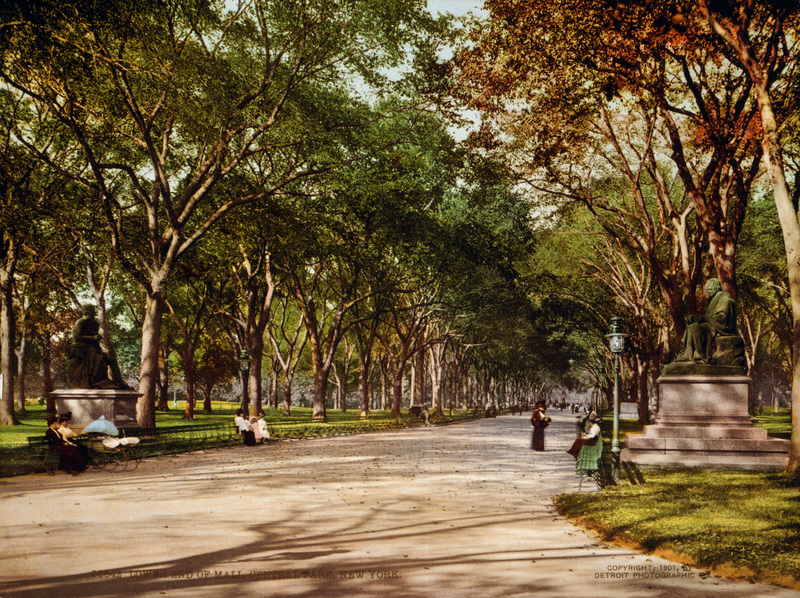 Central Park was dedicated in 1857, at a time when the Industrial Revolution had transformed the city. Citizens desired a green space resembling the countryside to relax and breathe fresh air, back then it was even allowed to graze sheep in the park. At the beginning of the 1900s, play fields were added, as well as swimming pools and other amenities. Millennium Park, dedicated in 2004, was the result of a design for the future of Chicago strongly pursued by then mayor, Richard M. Daley. It’s a tribute to contemporary engineering and architecture. The pavilion was designed by Pritzker Prize winner Frank Gehry. What to Do There are plenty of choices among the main attractions in Millennium Park. 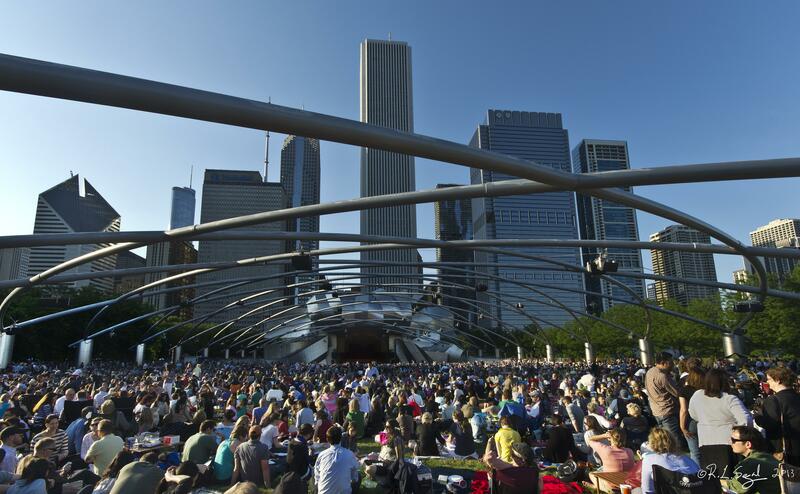 The Jay Pritzker Pavilion occupies almost the entire east side with its 4,000 fixed seats and vast lawn, which can accommodate 7,000 people. There is also the Gallery and Wrigley Plaza to the north of the west side, together with the Millennium Monument, which is reminiscent of a Greek portico. In the middle of the central square is Cloud Gate, a sculpture comprised of 110 tons of steel and nicknamed “The Bean” by British artist Anish Kapoor. 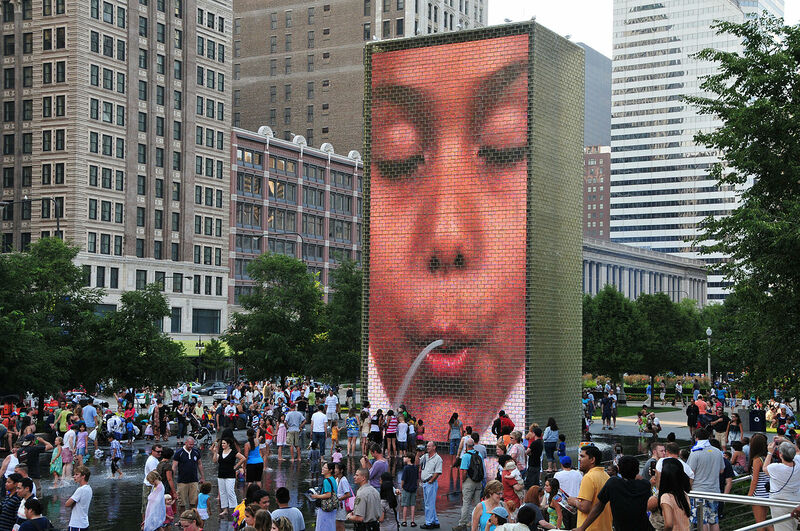 Finally, another Gallery and Crown Fountain by artist Jaume Plensa are to the south, which promotes physical interaction between the public and the water through its two giant towers. 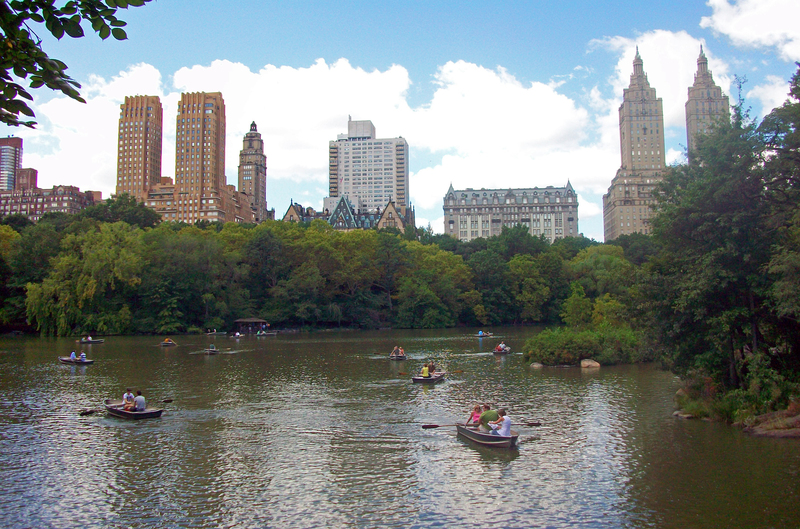 In contrast, Central Park is a paradise for runners and those who enjoy outdoor activities. Golfers can play in big, green meadows and climbers can climb up emerging slate rocks. It’s also possible to play baseball in reserved spaces, skate on ice rinks, or simply wander through the paths and picnic while admiring the Jacqueline Kennedy Onassis Reservoir. Treasures Both parks are flagships to their respective cities. They undoubtedly contribute to the local architectural heritage, one for 160 years and the other for 13 years. Additionally, both parks improve the quality of life for residents and offer valued tourist destinations. Central Park was visited by 60 million people in 2016 and Millennium Park by 25 million. 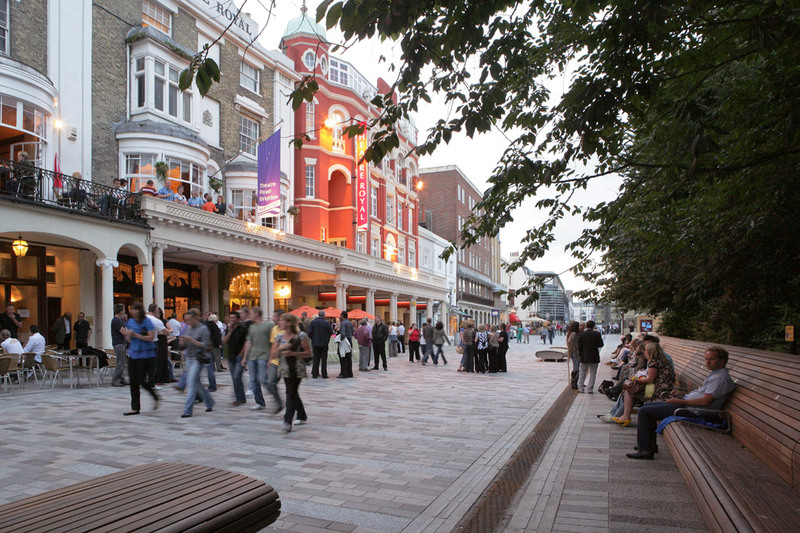 Moreover, both have increased the economic value of the area, especially the adjacent properties. Article by Emily Sinclair Discover why landscape architecture students should embark on a foreign exchange. There are many clear advantages to participating in an exchange program during your time in university. 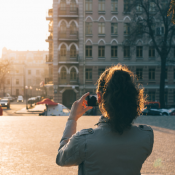 From learning a new language to experiencing a new culture, becoming a foreign exchange student can change your perspective on the world around you. As landscape architecture students, we all deal with the design of spaces and the surrounding environments in our projects. While we can study theory, and delve into case studies of monumental landscape works, there is no alternative to visiting the space in person. Traveling is always an option, but there are benefits to spending a semester abroad as a landscape architecture student. 10. Exposure to Projects As mentioned above, while studying a space can be useful to your studies and forming your personal design style, nothing quite takes the place of visiting a project in person. Landscape architecture is found worldwide and each country takes its own approach to the field. By traveling to new countries, you are not only opening your mind to new experiences, but also new philosophies and values. By exploring projects with your feet, eyes, and sketchbook rather than your textbook, you can draw your own conclusions and discover something you didn’t expect to find. 9. Living, Not Visiting By living in a city, rather than just visiting, you are exposing yourself to the daily activities that you might miss if you only visited for a few days and targeted the main sites. You are privy to the local color, small pocket parks, school playgrounds, bike paths and the countryside, which might not be apparent if you are checking items off a to-do list. 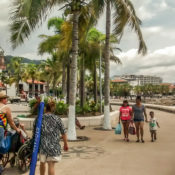 You could also make friends with local people and take time to sit on a boardwalk or go to the beach. All of which are enhanced by actually living in a city and being immersed in the network of life that you just won’t experience through case studies and books. Being in a city for a long period of time also exposes you to seasonal changes as well as different weather situations, which may dramatically change a space. Additionally, you will have the opportunity to meet more residents, which will allow you to be aware of the local opinion and is often different than the award descriptions and media coverage. 8. Experience a New Culture The most obvious reason to go on an exchange! One of the biggest differences for me was not only the different foods and customs, but also the values. 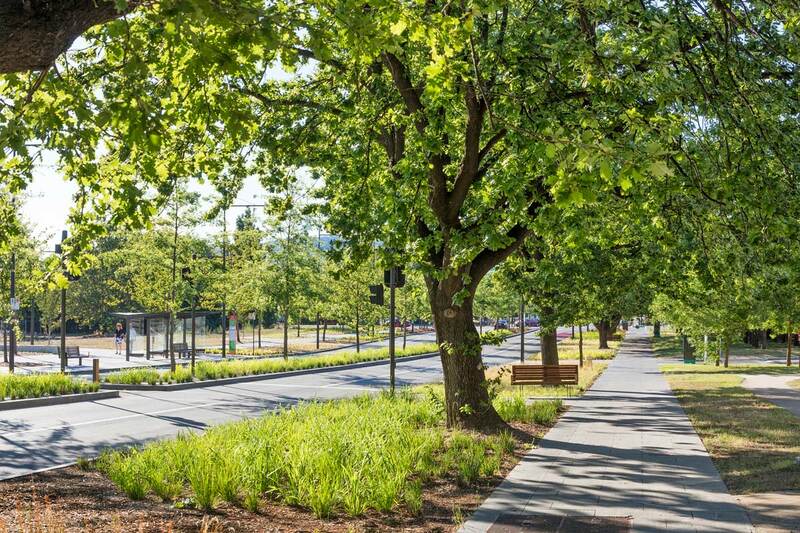 In landscape architecture, there are many things that are valued such as healthy lifestyles and abundant green space, but the priorities change from city to city. In some cities, traffic concerns are treated with more importance than green networks. However, in other cities, the knowledge of plants and planting design is given more weight in schools. The distinct values become more apparent as you open yourself up to more of the designed environments, which you use daily. 7. Experience a Different University Culture This point is not just about the different clubs, being engaged in a different university system can be a unique experience from what you expected. For example, in my home university in Canada we often take several courses in parallel to each other, partaking in one to three lecture courses, while simultaneously taking a studio. In Sweden, where I traveled for my exchange, the standard was to take only one course at a time but spend 20-40 hours per week on that course. 6. Make New Friends As a landscape architecture student, you are already primed to find people of similar interests. As you meet other exchange students you will also be disclosed to like-minded students from your host country. As a landscape architecture student participating in a landscape architecture exchange program, I found it extremely satisfying to learn that my knowledge of the Latin plant names was adequate enough to have conversations about plants in relation to landscape architecture and design. Being from a particularly small faculty it was also refreshing to learn new terms for materials or theories that I had previously never had to consider. Additionally, it was fascinating to be challenged as we navigated language barriers, trying to categorize and name things that I might have previously taken for granted. I found many people who shared similar goals and values to myself and will remain connected to them through the years. 5. Make Connections In that same line of thought, going on exchange introduces you to new professional connections. Through the university you’ll be revealed to professors and researchers and you’ll have the chance to meet professionals and up-and-coming practitioners through your classmates. These connections may illustrate a line of work or an internship you had not previously considered. Universities and other establishments often have seminars or symposiums, which are also great opportunities to learn about new theories and research. 4. Looks Great on a Resume This is more of a general point, but it’s true. By including your exchange on your resume, you are telling your potential employer that you are responsible and adaptable. They can also assume that your time abroad gave you a more international perspective in the field, which could prove useful in a working environment. In addition to these points, most people will recognize that the undertaking of an exchange program, even simply the process of applying, organizing your documents, transcripts, visas, and finding yourself in a new city can be a complex challenge. This demonstrates that you are an excellent problem solver. 3. Travel As a foreign exchange student, you aren’t just experiencing a new city, it’s a new country and, sometimes, a new continent. As a student from North America, the ability to travel to disparate European countries while on exchange in Sweden was life changing. 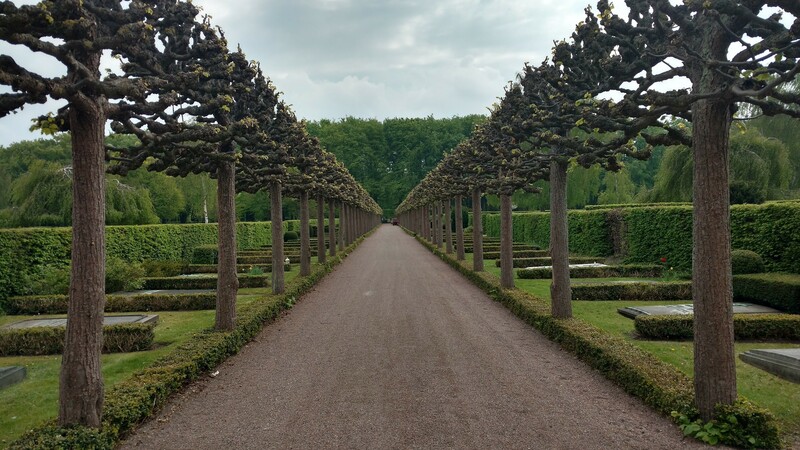 I took my time there as an opportunity to not only explore Sweden to its fullest, but also the neighboring countries. Sometimes it was a day trip by train, or a long weekend to another country. Being in a different continent made the urgency to see it all so much more of an achievable task. 2. Challenge Yourself Being abroad brings you new scholastic and worldly opportunities to test your knowledge and skills. You will be able to take the things you have learned up until this point and relate them to varying problems and contexts. You will find that the things that are at the forefront of your teachers’ and peers’ minds usually are not the same in a different school. This gives you the chance to explore unique ways to integrate these into your projects. You are also tested in your ability to observe and document the space around you. 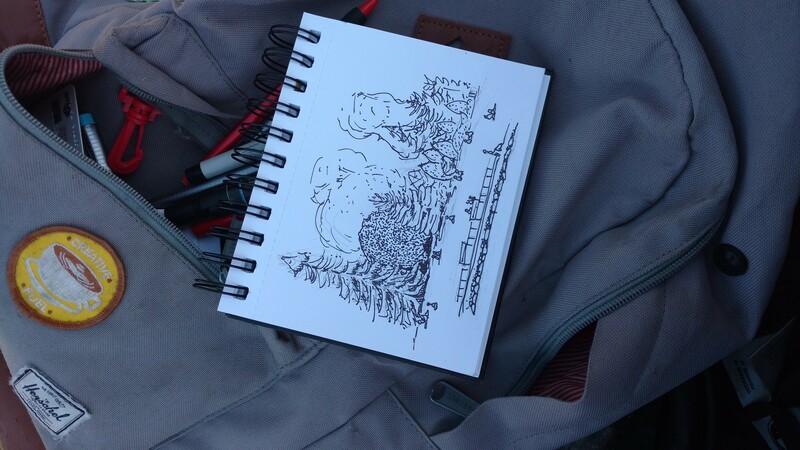 One of the greatest tools a landscape architect or landscape architecture student can carry with themselves is a sketchbook so make sure to stock up and keep record of your trip, you will not regret it. Article by Radenka Kolarov Jardin des Rives by Studio Basta in Amiens, France. Les Hortillonnages d’Amiens is an area that stretches alongside the Somme River. Since Roman times, the land has been hard and unusable so food was cultivated on small islands in the water. In modern times, the food crops were largely lost, leaving many islands unused and without a purpose. The MCA wanted to change this and with the help of Studio Basta organized a festival for art and gardening in this area. Inspired by the ancient Roman islands, still found on the water, Studio Basta built two wooden terraces that include benches combined with native plants arranged in a perfect order of color and composition. History As an Inspiration? There are projects all around the world that have used the history of a local area for inspiration. Jardin des Rives is a small project, yet its design relies on a distant history, one that dates back to Ancient Roman times. Romans had a specific way of plant cropping and created well-known vegetable gardens on islands. Nowadays, these islands are abandoned and largely forgotten. Studio Basta’s main idea for this project was to re-innovate these islands and use them as the driving force behind the design. So, what have they done? Whether you feel tired and just want sit, or perhaps lay and enjoy the surrounding environment while listening to the sound of water and birds, they designed a garden that could be used many ways. The terraces also serve as benches and are made of light wood with an appealing, soft look. They fit in harmony with the adjacent older trees and the newly planted shrubs. 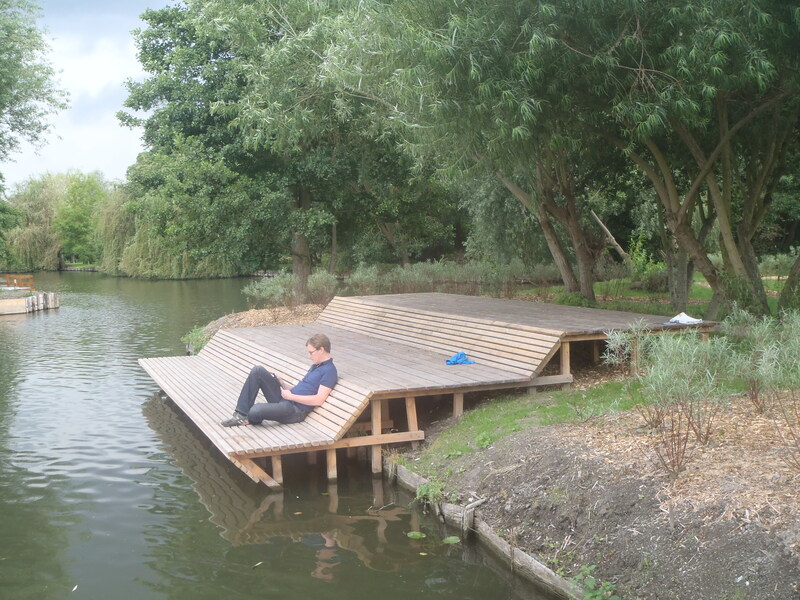 The client’s wish was to reactivate the site by the Somme River intended for a festival for garden and arts. Studio Basta’s design was the perfect answer and brings people to the water and the water to the people. Water is the Key Hired as builders of the Jardin d’Érode, the Studio Basta collective discovered the Amiens Hortillonnages during the 2011 festival. The landscape designers were moved by the beauty of this place and decided to return for a second time in 2012. This time as designers of an installation with the desire to bring the visitors closer to the water. In fact, they noticed the preceding year that even working in a setting surrounded by water, and practically in the water, they still had little contact with the aquatic world, despite their proximity. 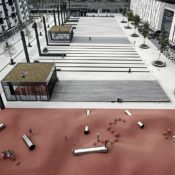 Article by Gwgw Kalligiannaki Täby Torg Square by Polyform Architects in Täby, Sweden. In the 1960s, the City of Täby joined the Swedish “Million Programme” to help solve the housing problems in the city. The project’s goal was to build one million apartments in a short period of time and to provide a roof for all. Although the speedy rebuild was very successful, the town’s appearance was monotonous and lacked public space. Therefore, in the early 2000s, the Municipality of Täby decided it was time to resolve the issue and transform the public, urban life of their citizens. To do this, they selected the parking lot of the city’s main shopping center and converted it into a space to host public events and activities. Danish firm Polyform Architects was commissioned for the design of the New Centre and brought a sense of character to the city. Their design for a multi-functional square was cleverly organized into six themed squares, each with its own identity, and each providing different opportunities in public life. 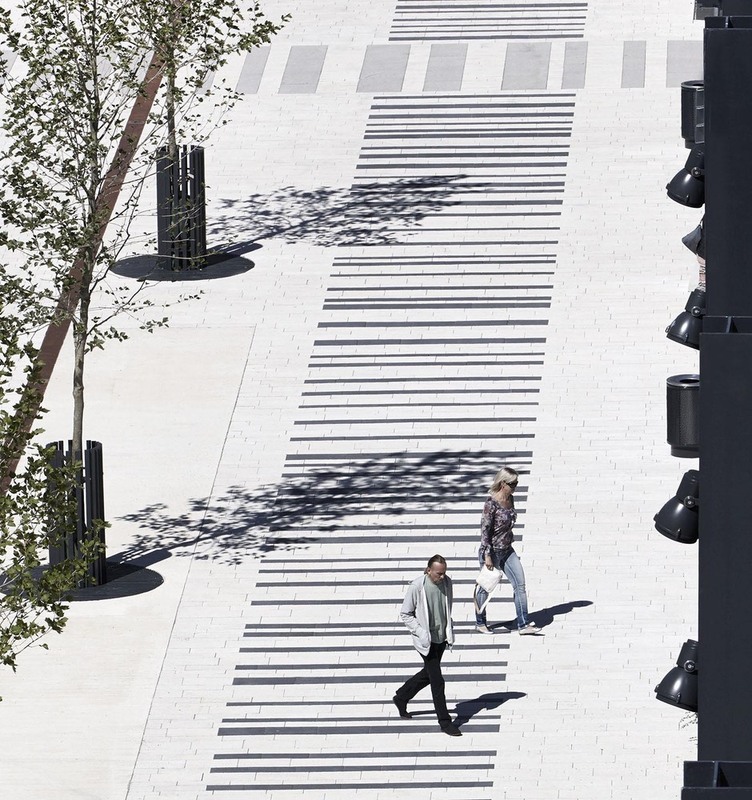 Organizing a Barcode Master Plan Polyform Architects chose to divide the project into a row of six smaller squares to create a patterned, human-scaled urban experience. The idea of a barcode form is supported from the direct layout of the site. Each square has its own identity, but they are all bound together. Although, the design is strictly based on linear elements, the playground area is a more unregulated configuration. Also, the entire site has a strong bond with light, using over 500 lighting elements, ultimately shaping different experiences during the entire year and especially on the dark, winter Sweden days. The Multi-Squared Pattern Faced with creating a multi-functional open space in a 10,000-square meter old car park, the architects elected to divide the site into six zones, each with its own role, providing space for all the public activities that occur in a modern square. 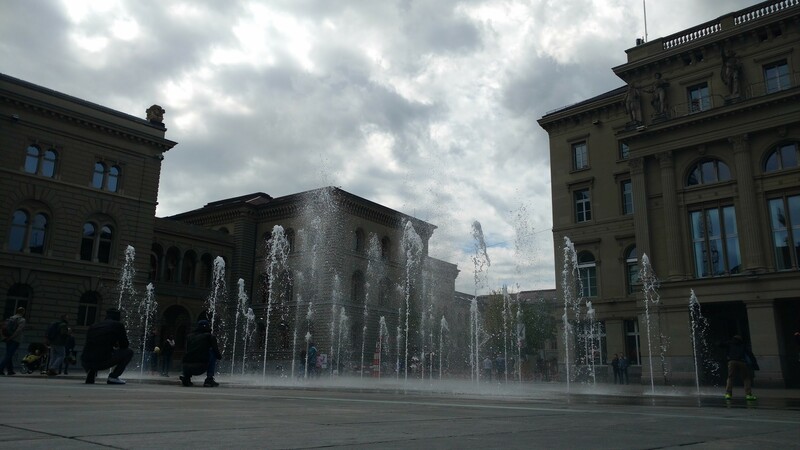 The seating square was made to relax and enjoy, while the market square created a set for farmer’s markets and flea markets. Meanwhile, the stage space gives the square the opportunity to host theater and concerts and the light space consists of rows of lights with accent lights. 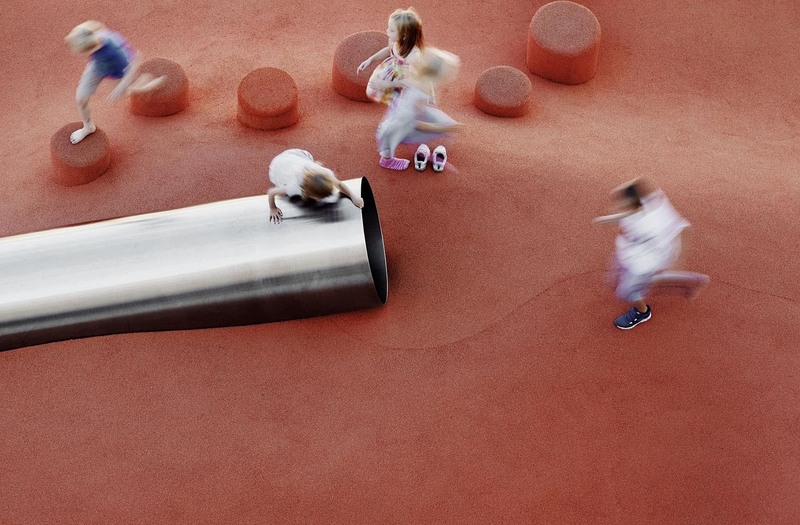 Finally, the orange playground was created for children to play and have fun and the water square has 120 water jets that work in harmony and is the biggest water fountain in Sweden. Material Palette and Urban Equipment Highlighting the barcode pattern, each small square is paved with different types of material such as natural stone, poured rubber, concrete, and cast iron. The way the materials were addressed shows a disposition to emphasize each square’s character and role both graphically and programmatically. 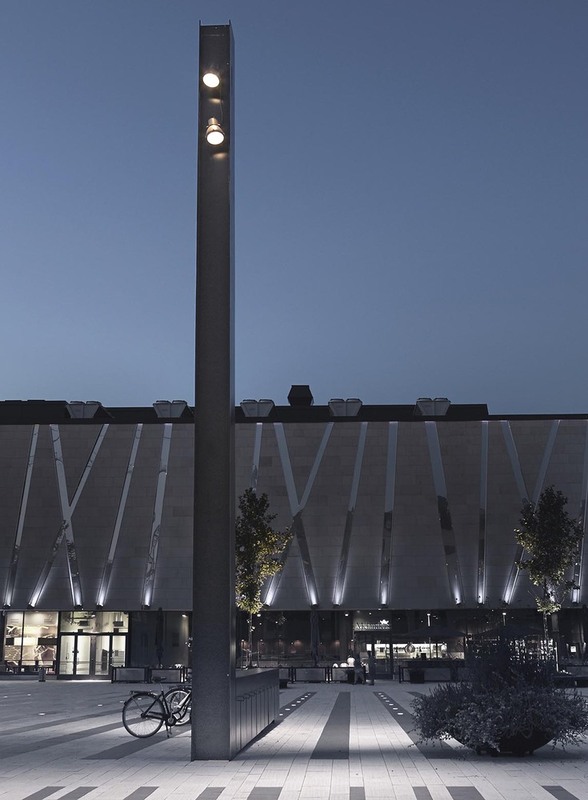 Oversized L-shaped lighting poles were placed in a row along the square and serve a double role as urban furniture. 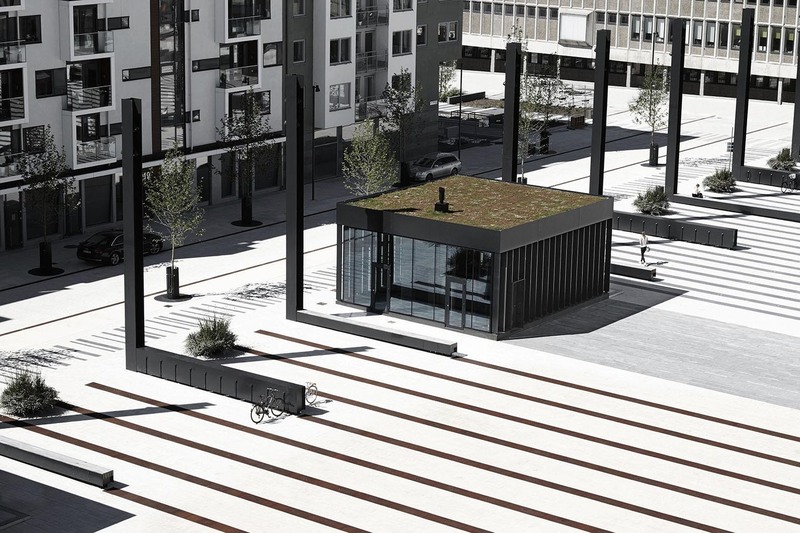 Small pavilions made of black steel are positioned along the perimeter and are used as cafes or shops. 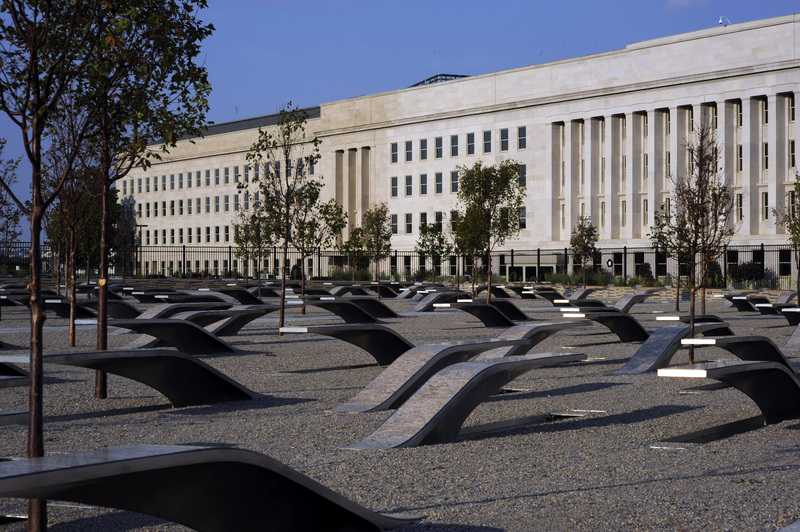 Two rows of trees are planted on the sides of the square and are the only plantings. In addition, all furniture that has been used follows the simple outlines and the strict geometry of the project. 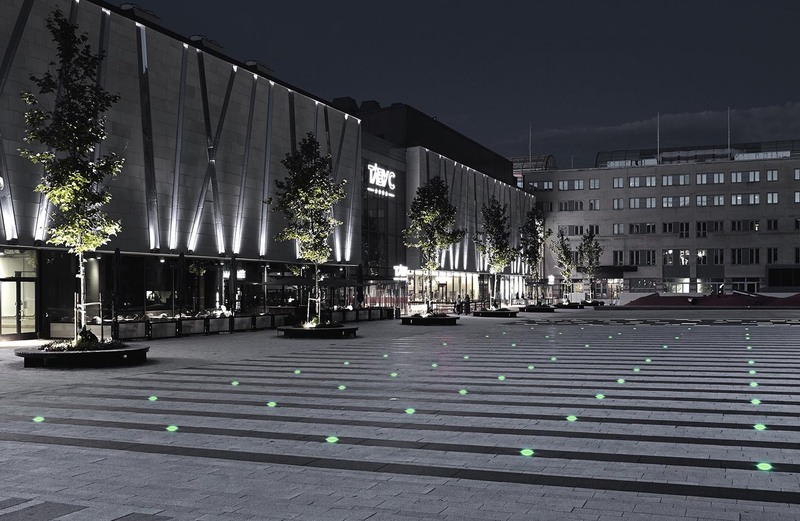 Lighting Strategy When designing for places where there are long, dark winter nights, lighting has a significant role in the attractiveness of a landscape project. The lighting plan in an open, public space should provide users the sense of security and emphasize the beauty of the site. This concept was reinforced in this project by Polyform. The uniqueness of each square is further defined by a different lighting design. Lighting poles and flooring spots are organized into six different zones, following the functional and morphologic features of each area. Additionally, the lighting elements form a total composition, making the square look like a big frame, where different scenarios can be hosted, every hour of the day, throughout the year. What Roles Can Landscape Architecture Play for Physically Challenged People? Article by Farah Afza Jurekh In this article we look at the fundamentals of universal design. Universal accessibility is widely considered by landscape architects. 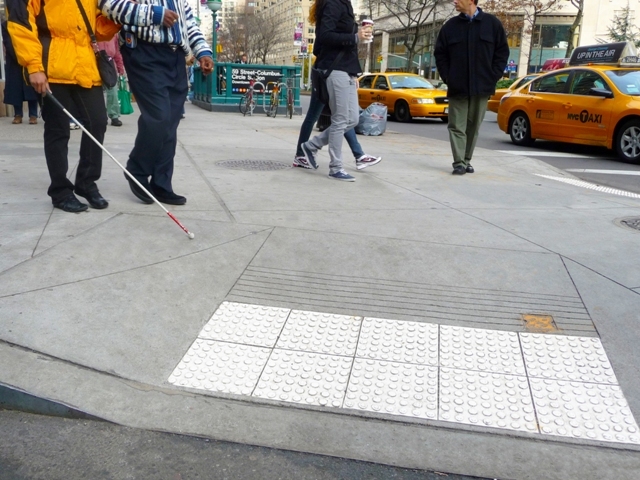 However, beyond functional elements such as crosswalks with sound cues, there are very few landscapes that are designed to engage the senses and provide benefits to the visually impaired. Landscape design principles offer an array of opportunities to the people who are visually impaired and physically challenged to ensure their ease in movement and comfort. Visually Impaired People When visually impaired people negotiate with the outside world, their hands and feet become their eyes. They use their feet to acquire surface information and fingers to recognize texture, form, and location. Additionally, the blind rely on other sensory organs to compensate for their lack of sight and their ability to hear, smell, taste, touch, and feel is more subtle than people with sight. 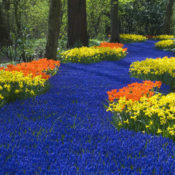 By manipulating certain aspects of the landscape, a person who is visually impaired or physically challenged could have an enhanced perception of the surrounding environment. Sites that accentuate non-visual experiences can foster feelings of security, both physical and psychological, by creating alternative prompts and allowing them to navigate and identify spaces that may not be familiar. Importance of Tactile Surfaces Especially for Physically Challenged People Texture Texture, for this purpose, refers to ground surfaces, which can be used to denote footpaths for visually impaired people through their sense of touch. They are detected either underfoot or via a walking cane. Furthermore, changes in ground surface can be used to indicate an approaching hazardous area, such as a road or signal crossing, and show the correct direction to proceed. Curb Ramps (Especially for Wheelchair Users) The slope, or the gradient of a ramp, should be designed to local guidelines. This is essential for wheelchair users where there are level changes between streets and sidewalks. 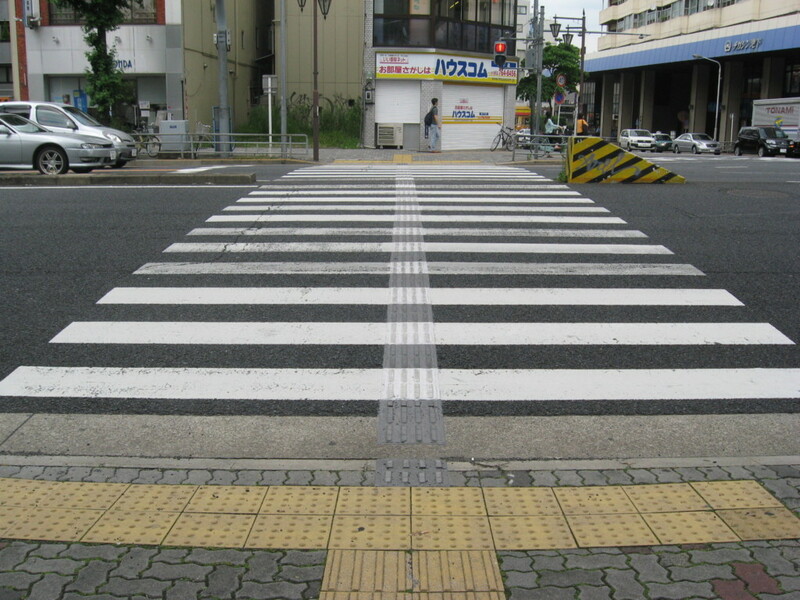 In some countries, these curbs are equipped with audio systems that emit a warning sound when they are crossing roads. Varying Textures Can be a Key Design Tool Tactile paving surfaces can also be used to convey critical information about the location of amenities such as stairs, telephone booths, benches, etc. In this case, changing texture is used to stimulate their attention. Living Textures Living textures are another way to enhance the experience for the visually impaired. Living textures refer to the feel of plants and trees. Apart from the feel, the fragrance can also be of assistance. Shrubs The chirping of birds can help the visually impaired identify places. 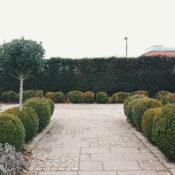 With the use of more shrubs, more birds may be invited to flock around. A few recommended species include arrowwood, winterberry holly, and common snowberry. Scented Plants Although these are only a few common examples, the choice of trees and plant species vary by region. Species should be selected based on their hardiness to the region’s climatic conditions. Examples include cherry plum, maple, tulip apricot beauty, and Arum maackia. Smell and sound also help visually impaired people. In addition to the aesthetic enrichment these plants provide, fragrant plants and the sound produced from the movement of trees and shrubs may aid the visually impaired, providing them with a reference to make judgments about their surroundings.